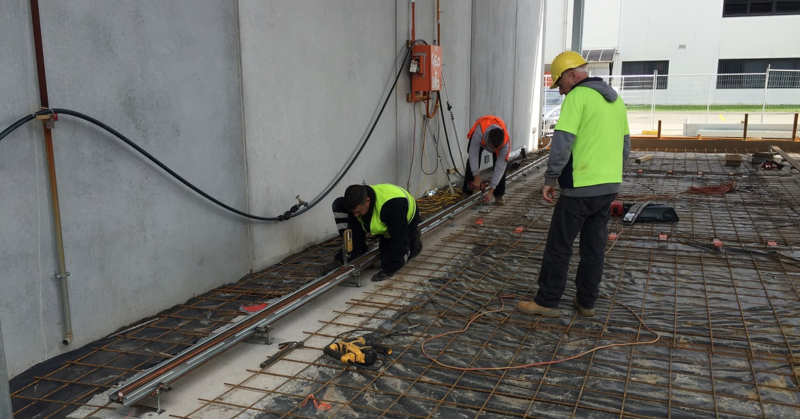 A large FMCG company in Melbourne had been experiencing an increasing demand for their product across the country, which was putting a strain on their limited cool room capacity. It quickly became evident that a larger storage facility would be required to accommodate the additional stock moving in and out of the warehouse. Plans for expansion were put into motion in June 2016. 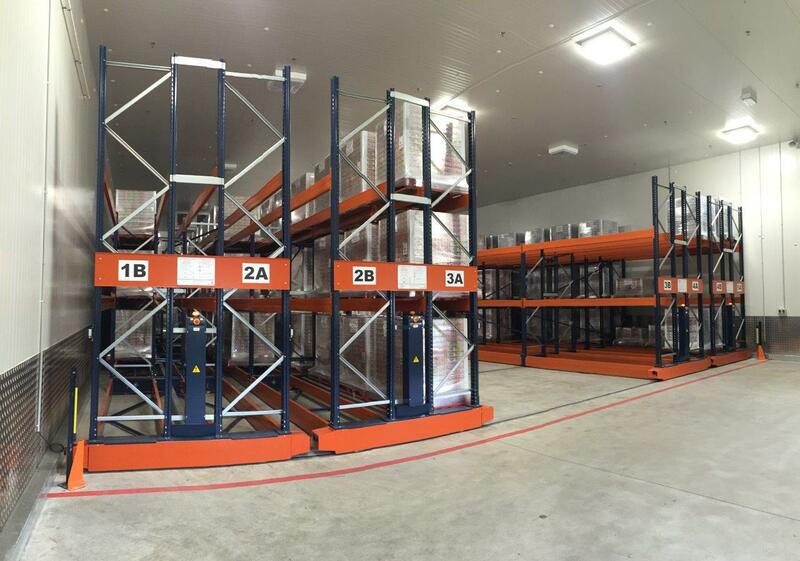 The automated racking system offers the benefits of selective racking in a deep storage application. Pallet racking is installed across a mobile base so that each bay can glide across, opening up an aisle to access the appropriate pallet space. This eliminates the need for individual aisle spaces – a much more efficient use of the storage space. This mobile racking system is ideal for small or large spaces to maximize the storage capacity, and can also be implemented for cantilever applications. The Movirack system was also selected in this project for its compatibility with cold storage environments. The high quality, electronic system is not affected by low temperatures and, with a smaller storage footprint, it offers considerable savings in energy consumption as a smaller area is required to be cooled – resulting in smaller energy bills and reducing the business’s carbon footprint. To further improve the energy efficiency of the cool room, LED lighting was integrated into the storage system and synchronised to automatically switch on and off – only lighting the open aisle. A remote control is used to control the mobile racking system – this allows the operator to open up the desired aisle to access the stock. Aisles can also be selected by manually flicking a switch on the storage system itself. To protect operators working within the system, Movirack is fitted with exterior safety sensors. It can detect when a pedestrian or forklift has entered the open aisle and cuts power to the system, immediately disabling any movement of the racking. The new storage facility created 336 pallet spaces, allowing for the storage of over 2.8 million individual products for this FMCG company – ample storage capacity for years to come.